15 years ago yesterday, the Space Shuttle Columbia broke up during reentry into the Earth’s atmosphere, killing all seven astronauts aboard. I was in high school, and it was well known that I aspired to be an astronaut. People asked then whether the accident made me question my career goals. It’s become a common question when I speak to the public. They want to know: did the death of seven astronauts change the way I look at space exploration? The question is often asked by people who remember exactly where they were when the Space Shuttle Challenger was lost. For them, the loss of a shuttle was transformative. The Shuttle was supposed to make space flight routine! It would fly 50 times a year and was so safe, civilians would soon have routine access to space – which is part of the reason that a schoolteacher was aboard Challenger that fateful day. The loss of the shuttle was a shock to the public, the accident a stark reminder that space travel is an inherently risky endeavor. For a child born after the Challenger accident, as I was, that moment – a turning point in public perception of the space program – was part of the legacy. As I consumed books and biographies about human spaceflight, the sacrifices of the Apollo 1 and Challenger crews were part of the history that made human spaceflight compelling. The message imparted to me by history was that spaceflight is so valuable, people are willing to die for it. Gus Grissom and Christa McAuliffe seemed to whisper from the pages, Carry on our mission. In this context the loss of the Columbia crew, while a tragedy, was not a shock to the foundations of my life goals. It was a challenge to keep pushing the frontiers of human knowledge, to push the envelope, to make sure that their loss was not in vain. We remember the crews of Apollo 1, Challenger and Columbia as some of the finest men and women at NASA, who made the ultimate sacrifice to expand human knowledge beyond planet Earth. 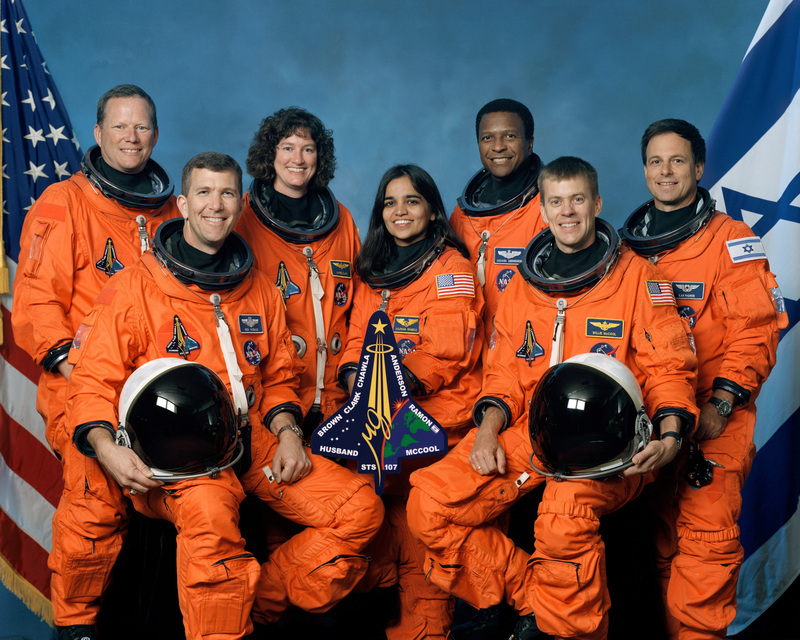 As President Bush said after the Columbia accident, “We find the best among us, send them forth into unmapped darkness, and pray that they will return.” We will never forget these members of the NASA community who left us too soon. But when we remember the crews, we also remember that we have the power to keep future space travelers safe. We must reflect on the chain of events that led to their loss. So, no, the Columbia accident did not alter my desire to carry on these crews’ legacies. But I keep the Challenger patch above my desk to remind me that no matter the pressures that arise, we must always be tough, competent, and vigilant in our quest to fulfill the legacies of Apollo 1, Challenger, and Columbia. Next How are we preparing astronauts for a return to the Moon?